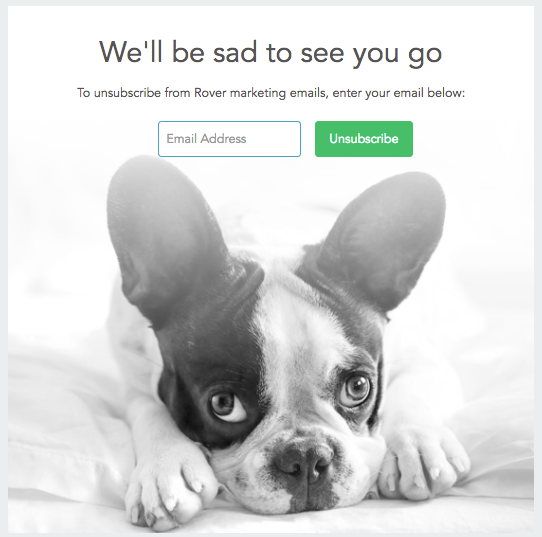 To stop receiving marketing emails from Rover, just follow this link, enter your email address, and select unsubscribe. Note: Opting out of marketing emails will not opt you out of transactional emails like booking confirmation emails. However, you can limit email or text notifications for messages sent through Rover--check out this article to learn how.